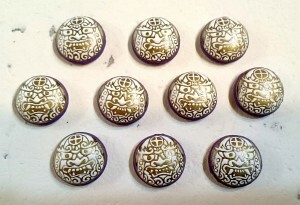 I’m painting the new ogre tile design on my Satsuma buttons. 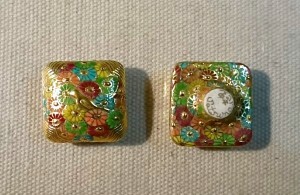 They can be seen on the edge of some old houses in Japan to protect them from disasters. They will surely protect the people who have them as good luck buttons. 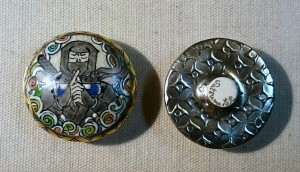 The Japanese ninja button has small Ninja stars on the back. 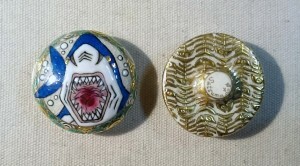 The shark button has a lot of fish bone on the back.